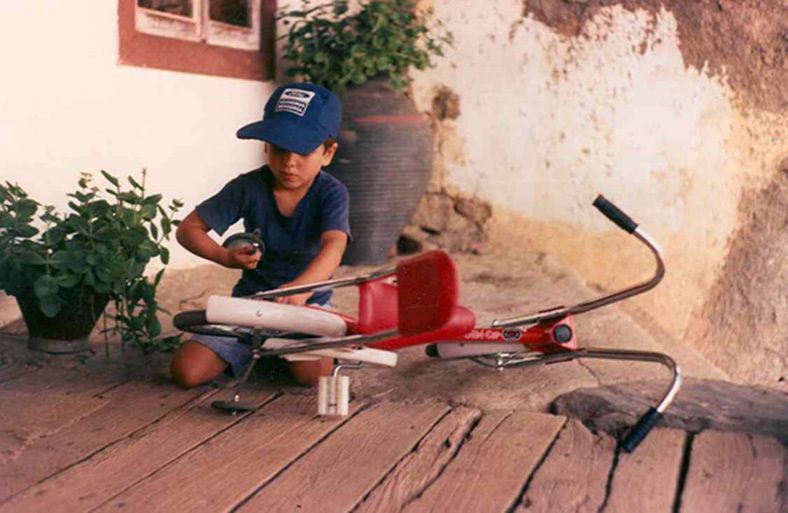 Rui PG Pereira (rux) was born and raised in the mountain side of Portugal and since an early age he likes to take things apart in order to build new toys. Rui studied new media and multimedia design for his undergrad which later drove him to go for a specialization in human factors for information systems and Human-Computer Interaction. Later on, Rui went on to graduate from the Interactive Telecommunications Program (ITP) at NYU – New York. Rui is passioned about music and visuals interaction with sounds and emotions, he’s been performing Live visuals since 1999 and has devoted much of his experiments and work to these areas and to the exploration of emotional connections through expressive interfaces. Rui has worked as a multimedia researcher/creative from as different settings as research centers and theaters and interaction designer and consultant for IDEO, providing interaction design consulting for major clients in the areas of finance and entertainment, as well as a researcher for IDEO LABS. As a freelance Interaction Designer and Researcher Rui has provided clients with creative solutions and compelling experiences based on expressive interactions. Rui has led the Innovation Lab at Havas Worldwide – New York as is currently a Creative Technologist at Google. Rui is also an educator, teaching workshops on interface design for live visuals performance and mobile audiovisual tools; he’s also been a visiting scholar at the Design and Technology MFA Program at Parsons The New School for Design in New York teaching audio visual interactive systems. AbunchofExperiments is subsidiary site-project, a repository of current and past experiments with code and interaction.